Champagne, Colombian Coffee, Parmigiano-Reggiano cheese, Rioja wine, Darjeeling tea and Tequila are products that are deeply rooted in a given geographical and cultural environment. The unique quality and characteristics of such products depend fundamentally on their geographical origin by virtue of natural factors such as: climate, soil composition, environment, as well as traditional production techniques and know-how. They are the so-called Geographical Indications (GIs). GIs have been recognized by policy makers in both developed and developing countries as a potential mechanism to assist (primarily) the agricultural sector by reducing supply competition for traditional products while raising their quality. 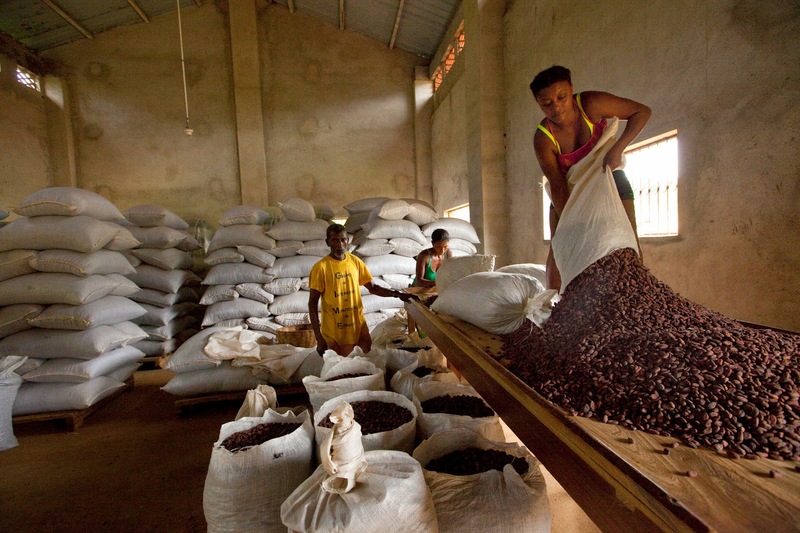 As part of a grant project (SAMCERT - Strengthening Smallholders’ Access to Markets for Certified Sustainable Products), IFAD is currently implementing a pilot initiative to support the establishment of three GIs (for cocoa, coffee, and pepper) in Sao Tome and Principe (STP). The objective is to strengthen market access for IFAD targeted producers, facilitating the development of a “trade approach” for STP agricultural products and ensuring that they are not commercialized as undifferentiated commodities, but as goods that are linked to a well-defined geographical and cultural area. 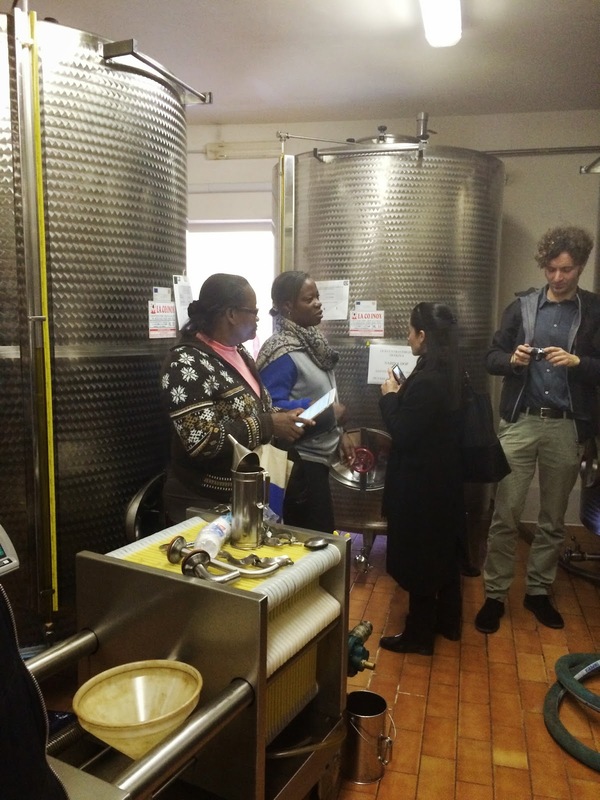 A delegation from STP visited IFAD on 25 and 26 March 2015. During the first day, a workshop was held at IFAD headquarters to share the experience in setting up GIs for cocoa, coffee and pepper. IFAD’s country programme manager for STP, Mr Andrea Serpagli, started by highlighting the fact that this is IFAD’s first experience with setting up a GI. Mr Michele Maccari, SAMCERT coordinator, presented the approach the project followed in establishing a GI. Emphasis has been put on three areas of work: communication, technical assistance and policy dialogue. Working in a participatory manner has proven to be key. Ms Ester Olivas Caceres, GI Senior Lawyer Specialist, gave an overview of what GIs are and the different steps that have been taken to set up a GI in STP, after which Ms Antonia Dos Santos Neto, GI consultant, talked about the achievements and challenges encountered so far. Reaching common understanding amongst the involved communities has required a lot of time and effort. Finally, a representative of the “Consorzio del Parmigiano Reggiano”, a well-established Italian GI, talked about the challenges of effectively managing a GI, the long-term benefits for those directly involved and its impact on the territory it refers to. 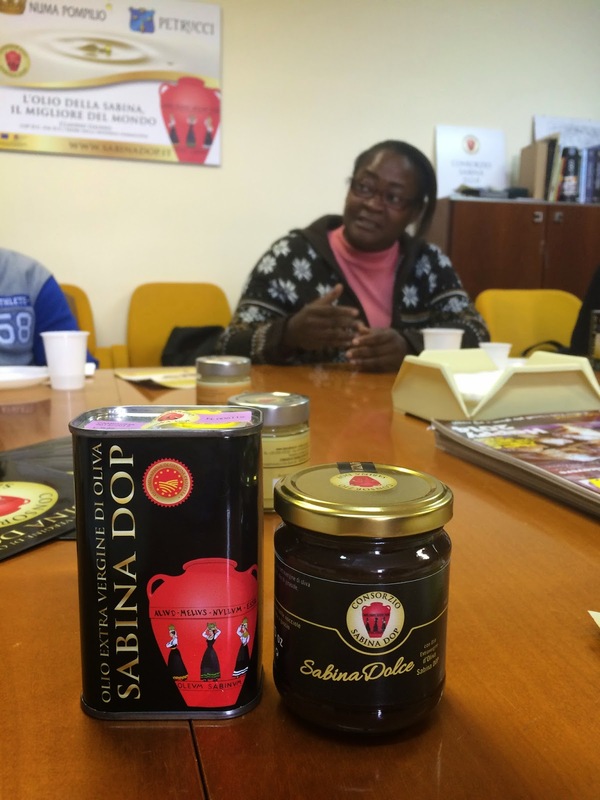 On 26 March, the delegation visited the territories of Sabina, between Rome and Rieti, where Sabina Protected Designation of Origin (PDO) olive oil is produced. Discussions were held with the Consortium that is dedicated to the protection of PDO Sabina oil and supervision of the proper use of the PDO. The consortium is responsible for monitoring compliance with the product specification, ensuring the quality and authenticity of the product Sabina PDO and protecting, enhancing and promoting Sabina PDO olive oil through conferences, studies, participation in exhibitions, fairs and tastings. During this encounter open discussions were held on the opportunities and challenges in setting up a GI. Moreover, a possible future collaboration between the consortium and cocoa cooperatives in STP was discussed. To be continued!